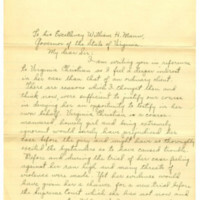 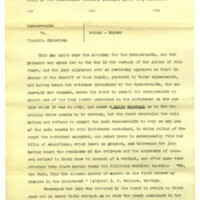 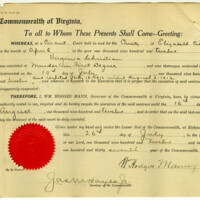 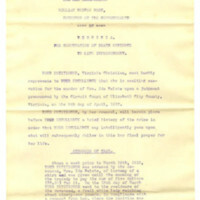 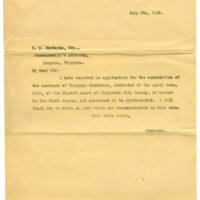 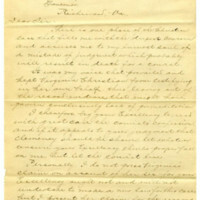 Clemency petition of Virginia Christian, submitted in her behalf by her attorneys George W.Fields and J. Thomas Newsome. 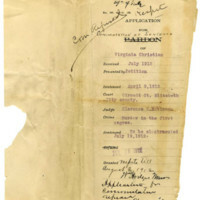 Virginia Christian was represented by two attorneys: George W. Fields and J. Thomas Newsome. 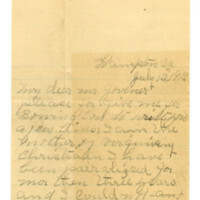 This letter probably accompanied Christian's Petition for Commutation. 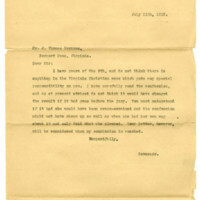 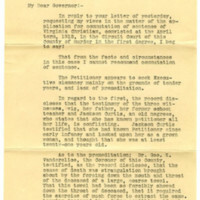 Copy of April 9, 1912, Elizabeth City County Circuit Court Judgement sentencing Virginia Christian to death by electrocution at the Virginia Penitentiary on June 21, 1912.